Gasketed plate heat exchangers are so established today that few could imagine any real change within their plate-and-frame design. But we know that when it comes to solving your challenges, simply accepting the status quo isn’t good enough. 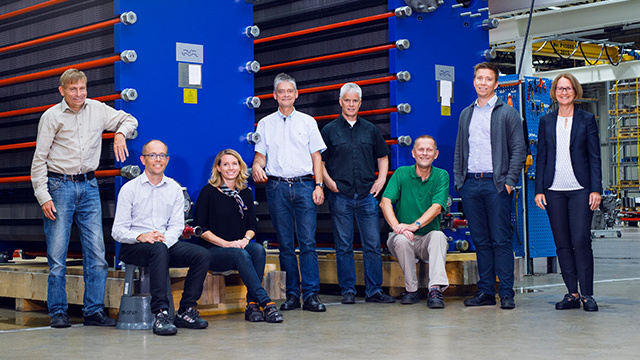 That’s why Alfa Laval is launching the next-generation line of gasketed plate heat exchangers for industrial applications. To meet your needs today and tomorrow, we’ve questioned every aspect and rethought every detail. The results are bold new standards in efficiency, reliability and serviceability. In rethinking our gasketed plate heat exchangers, the development process has been entirely driven by the needs and feedback of our customers. 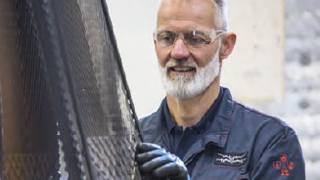 The objective behind the next-generation range has been clear from the start: to solve existing challenges with advancements that offer improved thermal efficiency, uncompromising reliability and greater ease of serviceability. Discover how you can take advantage of unparalleled thermal performance while optimizing energy utilization and minimizing environmental impact. Get to know true durability with new innovations for world-class mechanical endurance and reliable performance. With advancements that improve openability and simplify cleaning and plate handling, you sign up for safe, stress-free and cost-effective maintenance. To learn more about your options or to get advice from our experts about which gasketed plate heat exchanger is the best fit for your business. 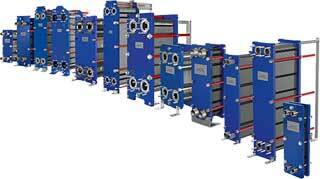 Alfa Laval’s Industrial line of heat exchangers includes a wide assortment of solutions for use in practically any industry. We are now extending and upgrading the range, adding new performance possibilities and greater flexibility. By 2020, the next-generation features will be standard for the entire Alfa Laval Industrial line. When you choose the world’s most modern range of gasketed plate heat exchangers, you get a partner with the experience and dedication to help you every step of the way. 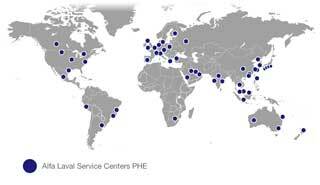 Not only can you take advantage of our comprehensive global service offering, but we can also support you with expertise for securing long-term, smooth operation perfectly fitted to your specific process conditions. If you already have an Alfa Laval gasketed plate heat exchanger, you may be able to experience a new standard of performance with your existing unit. Replace your current plates with a next-generation plate pack to take full advantage of new plate features. Contact us directly to learn if this option is available for your equipment. Knowing the expected lifetime of your gaskets is a key to avoiding risks of unforeseen downtime caused by gasket failures. Alfa Laval’s new GPredict™ tool can help you estimate the expected gasket lifetime based on the specifics of each installation.